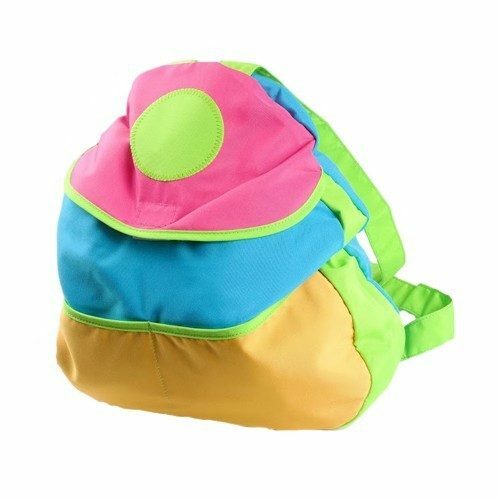 Colorful Kids 15 inch Backpack with Velcro Closure and Adjustable Straps Just $3.99 Down From $29.99 At GearXS! Ships FREE! You are here: Home / Great Deals / Colorful Kids 15 inch Backpack with Velcro Closure and Adjustable Straps Just $3.99 Down From $29.99 At GearXS! Ships FREE! GearXS has this Colorful Kids 15 inch Backpack with Velcro Closure and Adjustable Straps on sale for $3.99 (Reg. $29.99) + FREE shipping! Every child needs a fun and colorful backpack for either school or play. These wonderful backpacks measure 15 inches long by 15 inches wide, so youll have plenty of room to store your childs belongings. The backpack has a Velcro top opening so it can be easily accessed without a problem. There are also 2 front openings to extra storage. The shoulder straps are adjustable to fit children of all sizes. Order today.